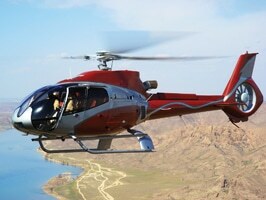 Global Aerospace is one of the largest providers of helicopter insurance in the world. We have offered this specialized coverage for as long as there has been a helicopter industry—more than half a century. Addressing such unique issues as liability limits and pilot training requirements, the policies we underwrite are designed to protect rotor wing operators of all sizes. Global Aerospace is an active member of the Helicopter Association International (HAI) and has invested years in making safety resources available to the helicopter industry and the aviation community at large. To learn more about insurance for helicopter operators, please contact your local Global Aerospace representative.